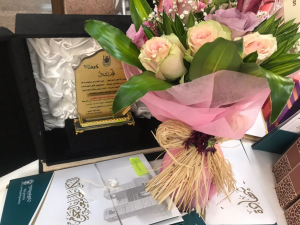 Under the patronage of Dr. Tawfiq Al-Sharif and Dr. Hanady Qamara, the Dean and Vice-Dean, the University College in Al-Jamoum (Girls Section) held the Concluding Ceremony of Student Activities on Tuesday, 8th Shaaban 1439H at 10:00 am. The event was attended by the College’s vice-dean, department heads and assistants, staff members, employees, representatives of the Development Center, Family Association and Voluntary District Club, as well as the students’ mothers. The event started with the Royal Anthem followed by a Quranic recitation and the march of student clubs. Then, Ms. Asia Farhaty, Supervisor of the Student Affairs Unit, extended in her speech her thanks and appreciation to the College’s Dean and Vice-Dean for their unending and unlimited support for student affairs. In addition, she demonstrated a statistic about the achievements of the Unit including activities and student training. In this regard, a video entitled, “Innovation Harvest” was presented to shed light on the Unit’s achievements during the academic year 1438/1439H. This was followed by the speech of the Dean to appreciate and hail the efforts exerted by staff members. In turn, the Vice-Dean gave a speech to welcome guests and thank all contributors in the initiatives, events and courses held at the level of the College and its departments. 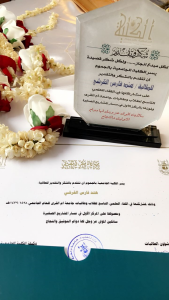 During the ceremony, the role model student of the College, excellent students, as well as the participating students in the Ninth Scientific Forum for UQU Students were honored. 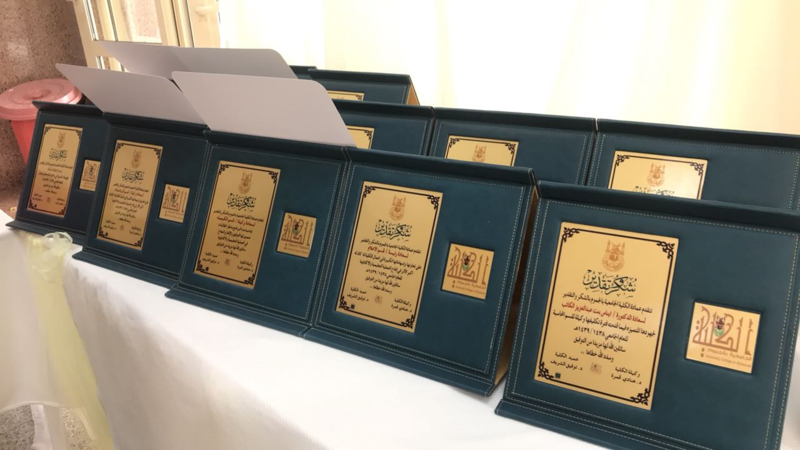 In addition, the Vice-Dean honored the departments, units, committees and the administrative cadre, while the Student Affairs Unit honored the staff members and the participating students in the student activities. Then, both Dr. Salwa Bahrawy (Supervisor of the Admission and Registration Unit) and Ms. Rawad Al-Baqmy (Supervisor of the Quality Unit) honored employees and quality coordinators. Besides, Ms. Hamda Al-Otaiby, Supervisor of the Library, honored students who participated in the organization of the library. 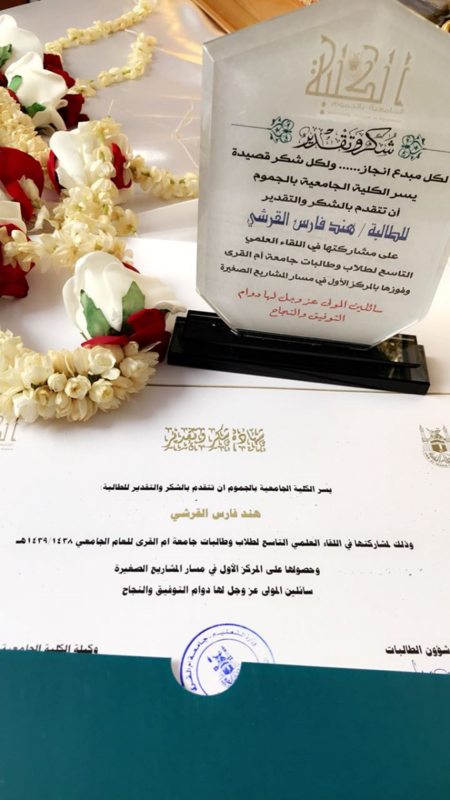 Within the same framework, winners in the Voluntary Work Competition organized by the Student Affairs Unit during the second semester were announced. Moreover, the Vice-Dean honored Ms. Ahd Abdullah, the patron of the Competition. At the end of the event, the Vice-Dean thanked the attendees and all who presented, contributed in and organized this ceremony. She also wished everyone continuous success and guidance.